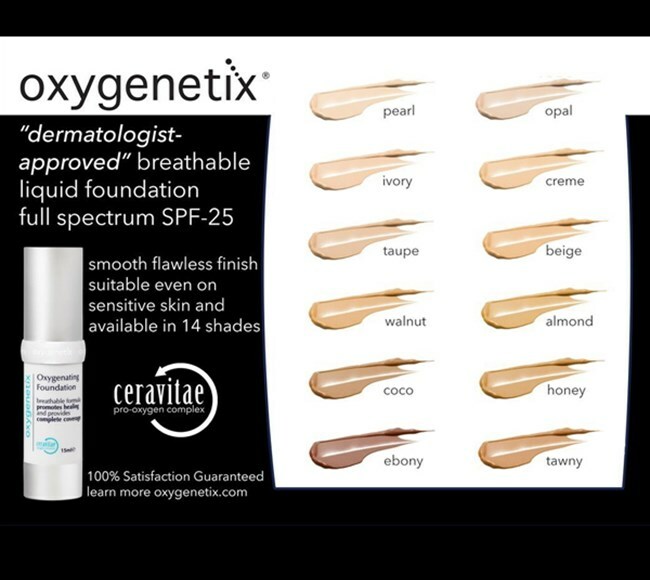 The card includes a small sample of all 12 shades in the Oxygenetix foundation range, allowing you to find the perfect match for your skin tone. The shades are consistent across the original foundation and the acne foundation, so you can choose your shade and then choose your formula. 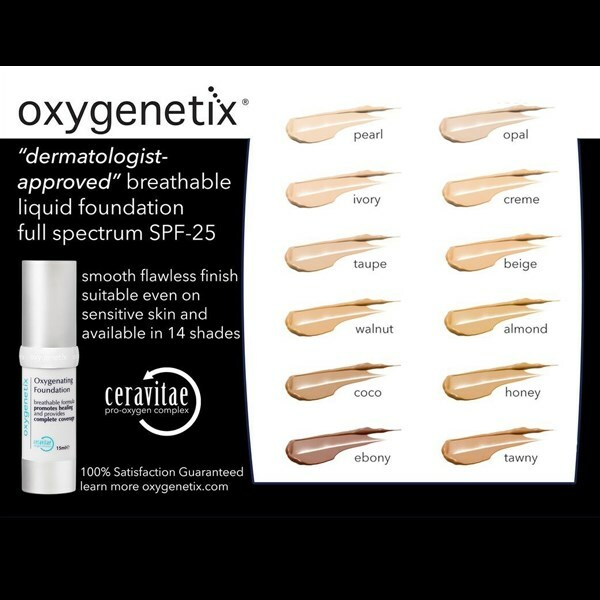 The card includes a small sample of all 12 shades in the Oxygenetix foundation range, allowing you to find the perfect match for your skin tone. The shades are consistent across the original foundation and the acne foundation, so you can choose your shade and then choose your formula. 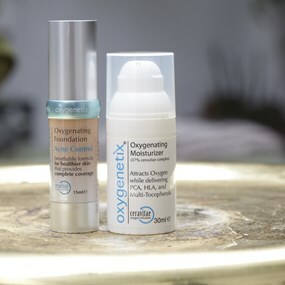 This foundation makeup diminishes the appearance of skin redness, blemishes, dry patches and dark spots and creates a lightweight, breathable finish. 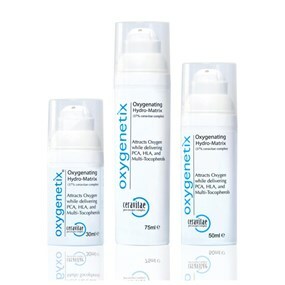 Made with Ceravite, it delivers essential oxygen to the cells so they can repair themselves. Peel back the foil for the shade(s) you wish to sample. Swipe the shade onto your lower cheek, pulling the color down towards your jaw. If you are sampling multiple shades, open the next foil and apply it to your cheek next to the other shade. 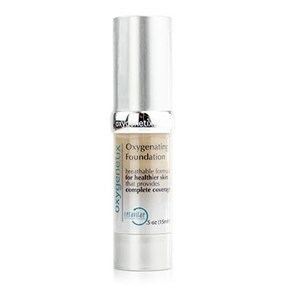 This foundation will oxidize, so wait about 20-30 minutes to see if the shades applied still match your skin tone.